Ryan has more than 15 years of success in executive sales outsourcing strategies and has engaged with some of the strongest brands in the world. He holds a Bachelor of Science degree in business psychology, organizations psychology, management principles and leadership practice in the workplace from Penn State and has spent most of his career teaching and mentoring world-class sales talent.  Prior to founding Trelevate, Ryan held executive positions at Infinity Contact, Netpique and Westward Inc. In each of these roles, he worked to develop and implement successful sales strategies and growth initiatives for top-tier corporations such as AT&T, UPS, First Horizon Merchant Services and Quill Office Supplies. Knowing there was a better way to build and manage elite outsourced sales teams, Ryan co-founded Trelevate in 2012 and has since helped build the company into one of Inc. 5000’s Fastest Growing Private Companies in the United States. Ryan’s responsibilities at Trelevate include strategically aligning business partnerships, refining all sales platforms and working with the CEO to execute national program expansion.